From the start of the trip we weren’t sure how we’d spend our last couple days. We knew we’d need to make it far enough south to be within 4 hours of home (we don’t like to drive more than 4 hours with the trailer) and assumed we’d end up in the Bay City area. As we looked for campground options and must see/do places nothing jumped out at us. Then we looked inland a bit and found a Yogi Bear’s Jellystone campground (Daniel’s favorite) within walking distance of Frankenmuth… perfect! 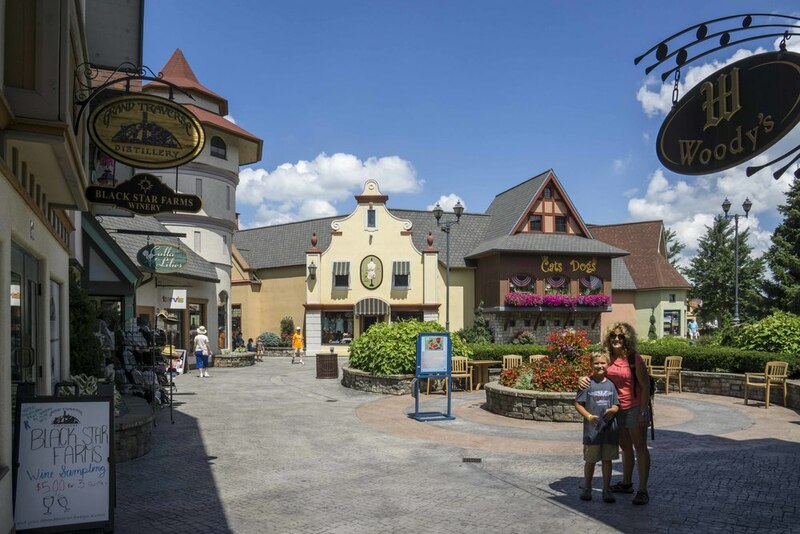 Frankenmuth is known as as “Michigan’s Little Bavaria” and is the home of Bronner’s CHRISTmas World. We love Germany and Switzerland and were excited to check it out! 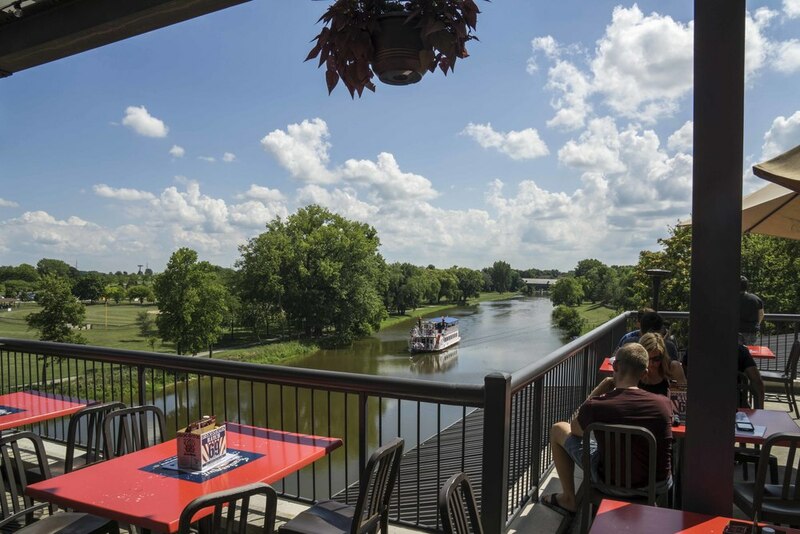 We were in Frankenmuth on Tuesday and Wednesday… it wasn’t very crowded, which was great, and we had a wonderful time exploring the beautiful town. We were very pleased with the Yogi Bear’s Jellystone campground. 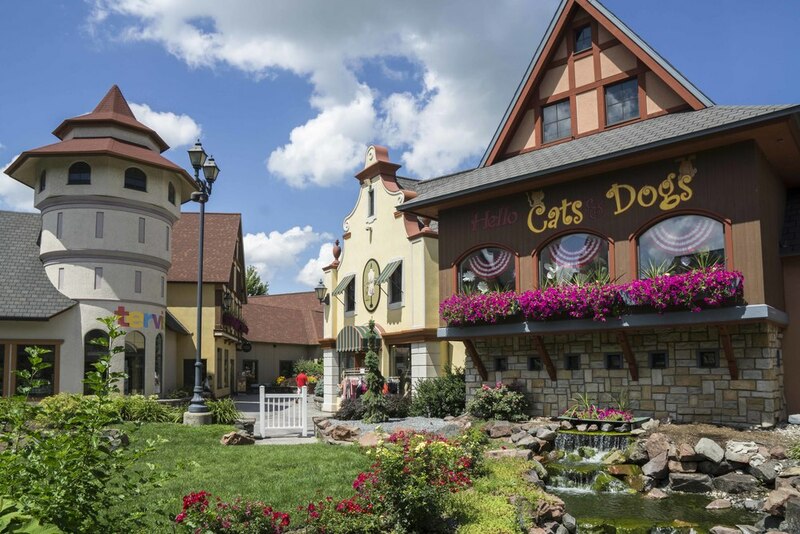 It is in an excellent location… within walking distance of downtown Frankenmuth, Zehnder’s Splash Village, and Bronner’s CHRISTmas World. We didn’t have to drive anywhere (which was a real treat after driving 4,500 miles)! 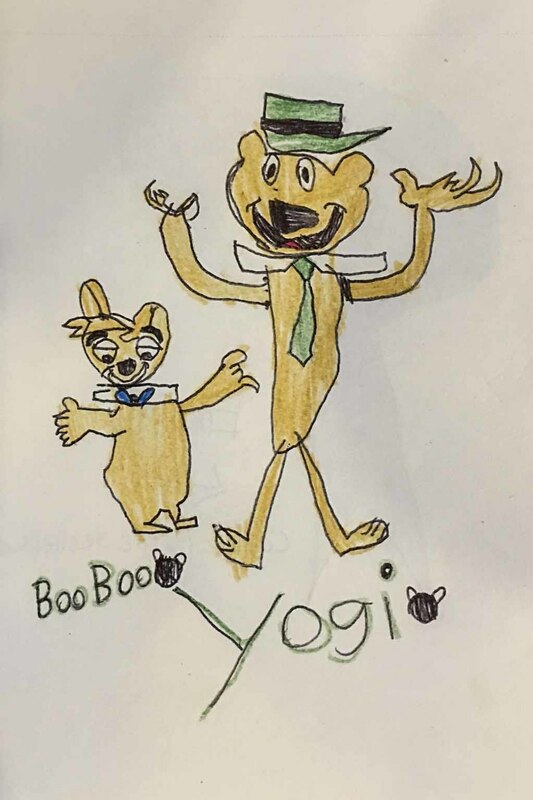 Yogi bear Jellystone campground is very clean and has great activities for kids… during our visit there was a daily scavenger hunt and there were movies each night at 8pm. The staff is great and very helpful. One night we had an issue with a shower. I went to the office to let them know and before I got back to the washroom the maintenance person was there. A few items to note about Yogi Bear’s Jellystone campground... The sites are a bit tight unless you book a premium site. The showers are very clean and there’s plenty of hot water, but they are push button. The outdoor pool is under construction. There is a very nice indoor pool. 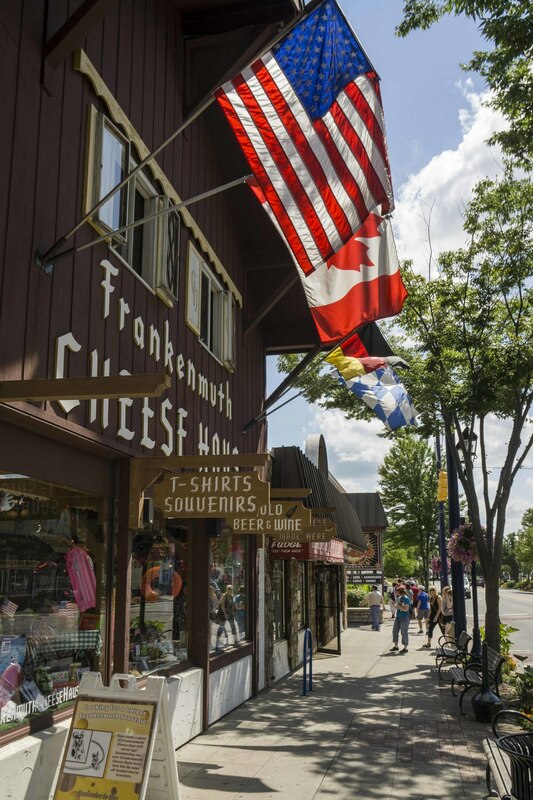 We arrived at Frankenmuth early in the day and walked to town. Our first stop was Riverview Place, which is a collection of shops and restaurants on the river at the beginning of town. We made a stop at the arcade where Daniel played a few games and then we visited a few of the shops. As we made our way through town we stopped at a couple great shops. 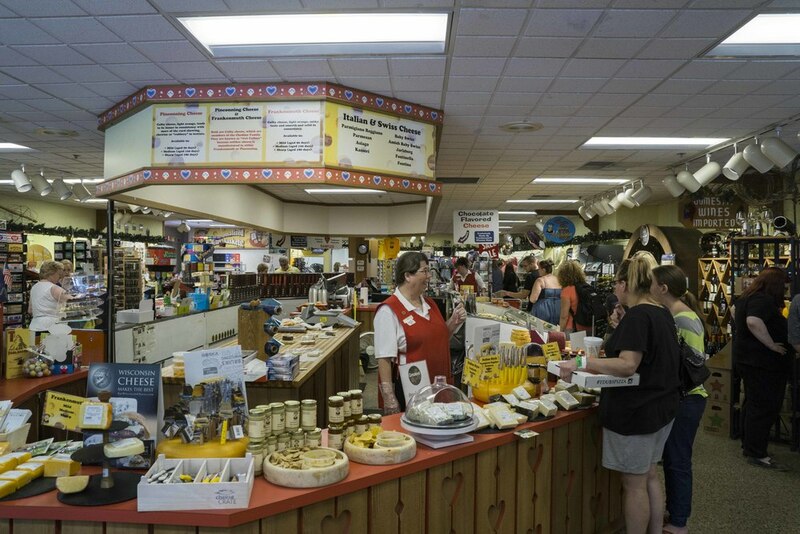 The Frankenmuth Cheese Haus is wonderful. There’s a ton of selection and if you’re unsure about any of the cheeses they’ll give a sample. The next day we sent back and got a few awesome cheeses to take home. 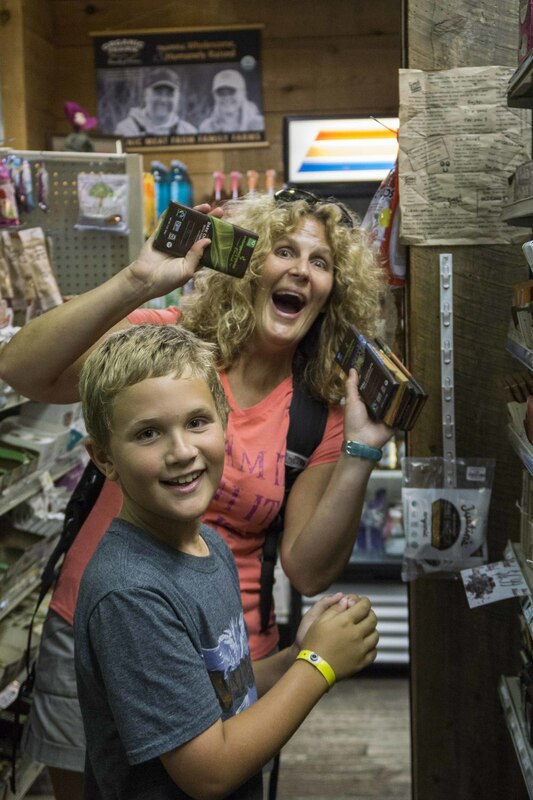 I was excited to find Healthy Habits 4 Life, in search of my favorite organic dark chocolate… I found it and arguably bought a little too much! 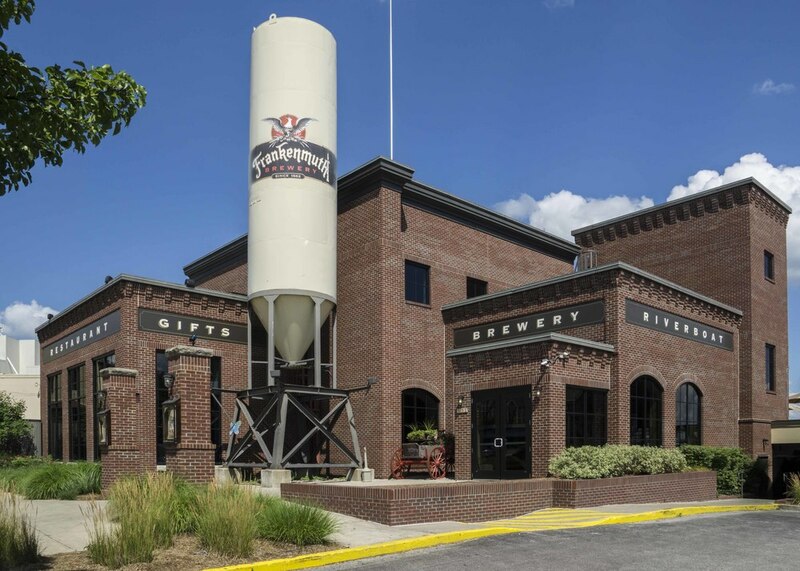 We stopped at Frankenmuth Brewing Co. for an early dinner and really enjoyed it. 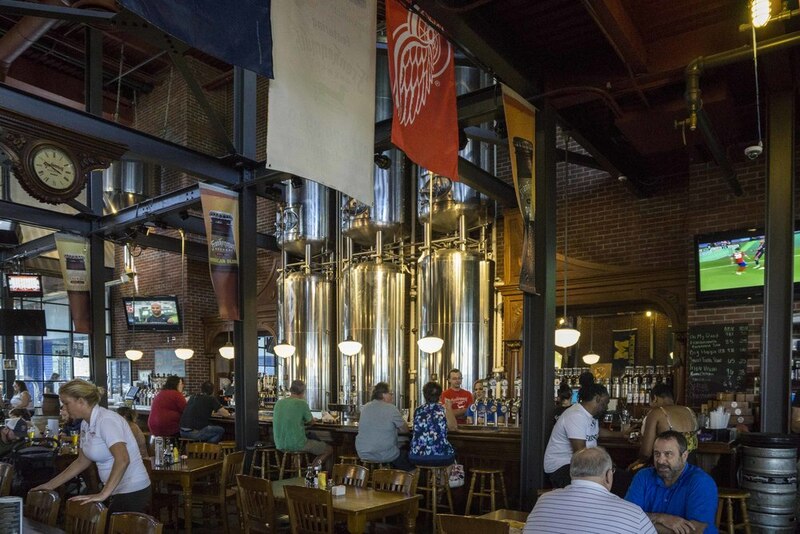 The menu has some salads, bar food, and a few local sausage selections. I had the Michigan Cherry salad with salmon, Daniel had a burger, and Todd had sausage from Kern’s (the local sausage shop). Everything was very good. After dinner we went back to Sugar Rush Confection Mine in Riverview Place in search of Daniel’s new favorite ice cream… Michigan Pot Hole. We found it and he enjoyed it as we browsed around a bit more. We noted a couple coffee shops in town and I enjoyed taking a run to Harvest Coffeehouse the next morning for a fantastic cup of coffee! We spent most of our second day in Frankenmuth at Zehnder’s Splash Village Hotel and Waterpark. 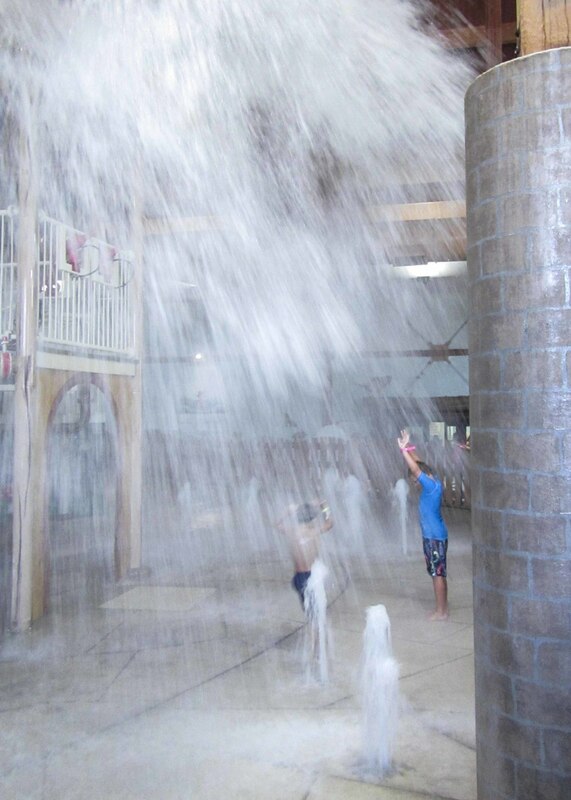 We bought day passes to the waterpark and had a blast. 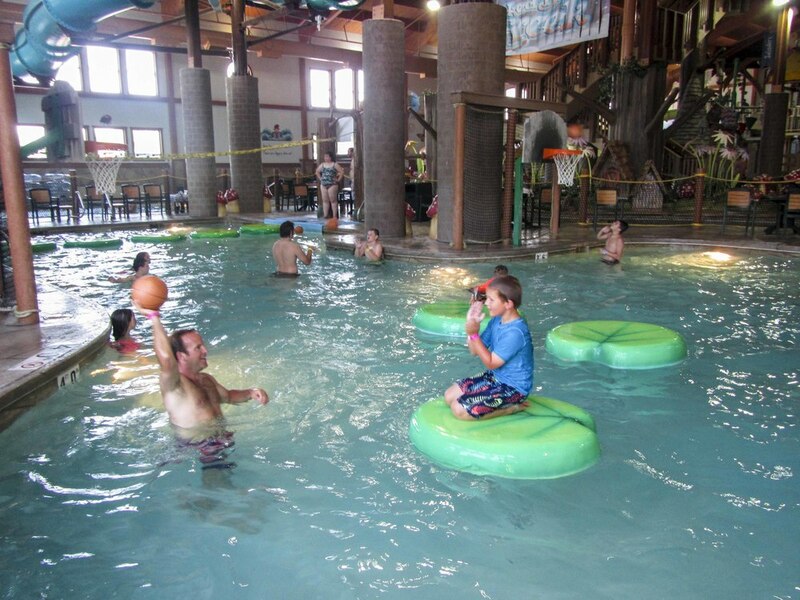 Zehnder’s Splash Village has several sections and activities for all ages. There’s also an area with a retractable roof, which was really nice because we didn’t have to be inside all the time. 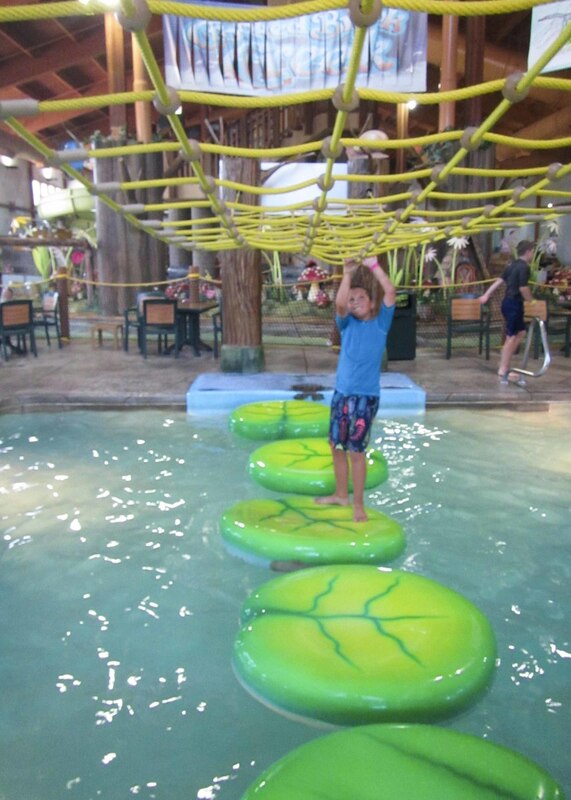 We had lunch at Zehnder’s Splash Village and were really impressed with the quality of the food… we had salads and pizza and everything was really good. The menu includes a nice selection of salads, sandwiches, pizza, and snacks. Before heading home we needed some souvenirers… Kern’s Sausages was our first stop. 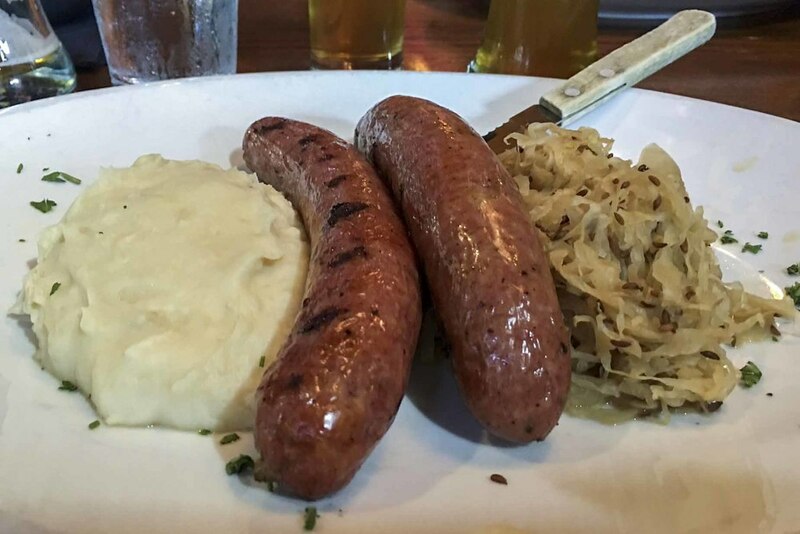 Todd had sampled some sausage at Frankenmuth Brewing Co., and knew we had to take some home. Kern’s Sausages, located on the corner of Jefferson St. and Main St., has a great selection of sausage, German mustards, meat, cheese, German and Michigan beer, and some assorted grocery supplies. We enjoyed the sausage the following weekend at home with our families. We couldn’t leave Frankenmuth without a stop at Bronner’s CHRISTmas Wonderland, which is the world’s largest Christmas store! Bronner’s CHRISTmas Wonderland lives up to its reputation… it is awesome! We love Christmas, and collecting meaningful ornaments is one of our favorite family traditions. It was great to pick out some ornaments that will remind us of the amazing Great Lakes adventure! 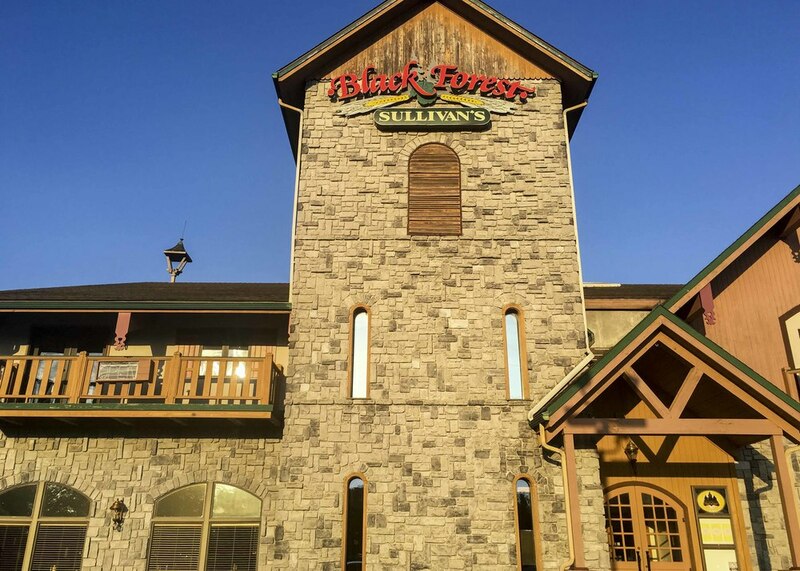 To wrap up the day, we had dinner at Sullivan’s Black Forest Brew Haus and Grill which is located on Weiss St. just a short walk from the campground. 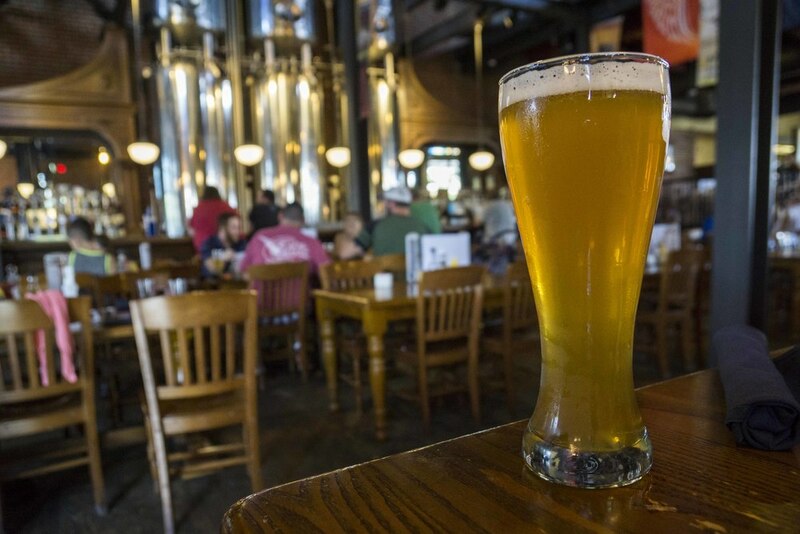 Sullivan’s Black Forest Brew Haus and Grill has a casual and friendly atmosphere and the food was really good. Todd had the sausage sampler and fried perogies, I had an excellent cobb salad, and Daniel had a burger. The menu includes a great selection of appetizers, salads, sandwiches, and entrees. To sum it up… we really liked Frankenmuth… lots of fun activities, good food, and a really great vibe! Newer PostAn Awesome Long Weekend in Snowshoe, WV!